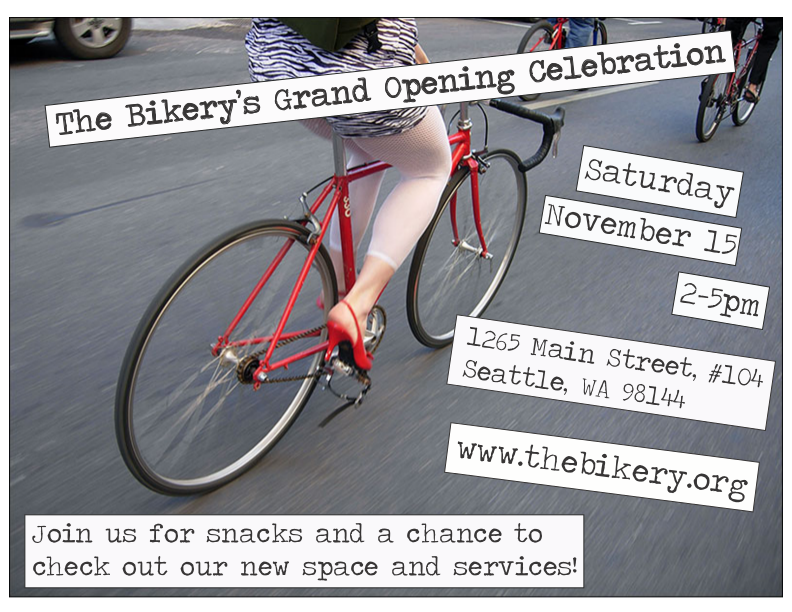 For the Grand Opening of the Bikery’s shop location, we promoted the event in the same style of our classes, a punk-rock style that emulated indepenent zines. This was distributed in black-and-white fliers to local shops and organizations, and we used the full-color version online. 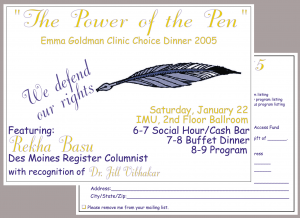 In advance of the 2005 annual dinner, we lined up a well-known Des Moines Register columnist to serve as the keynote speaker. 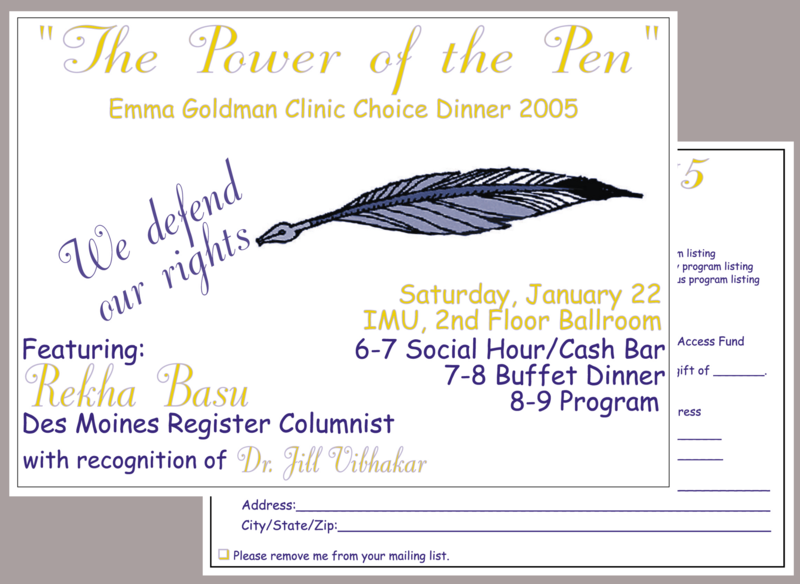 We chose to make her credentials a center-piece of the event, and chose “The Power of the Pen” as our theme. The image here definitely doesn’t do this invitation justice. 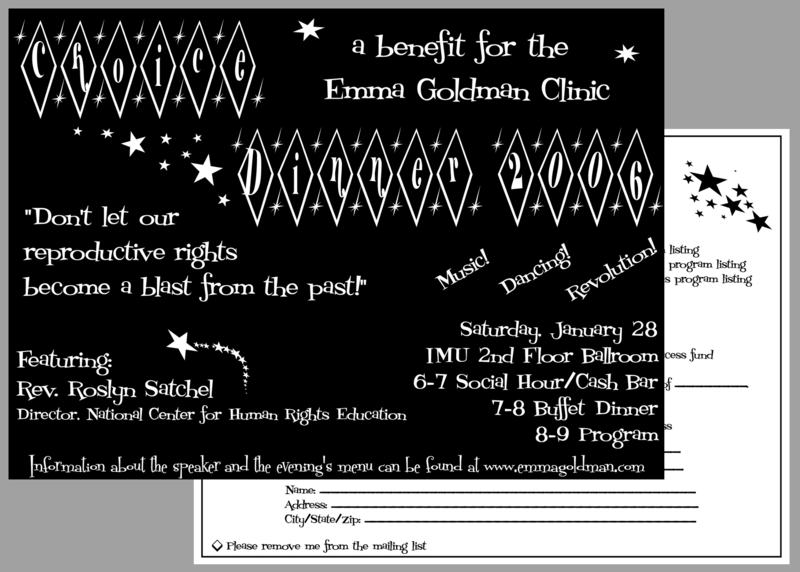 For our retro-fifties theme in 2006, we had the invitations printed on black paper with silver ink. The reply cards were printed with black ink on glittering, silver paper. 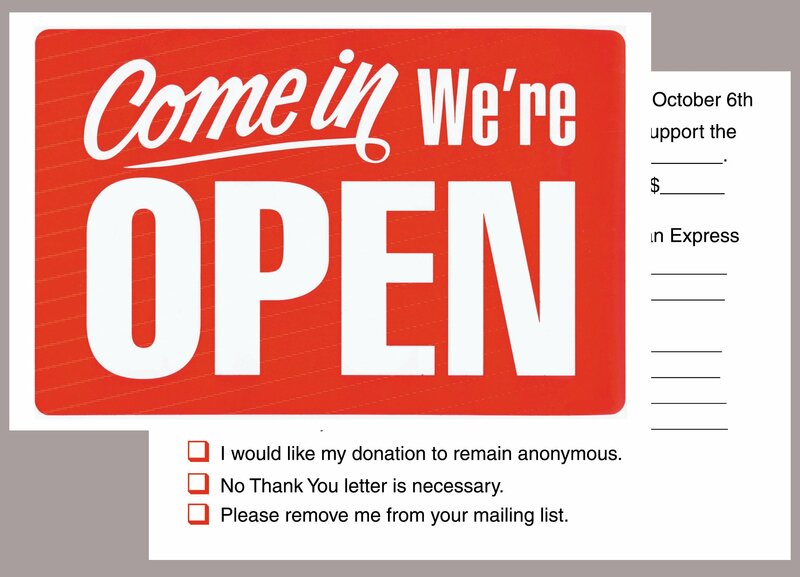 In 2004, as many clinics around the country were shutting down, we wanted to use our Open House invitation to show our clinic was there to stay. Using this iconic sign was a simple and effective way to welcome visitors to our Open House and make that statement. The Open House was traditionally timed to coincide with the anniversary of the clinic’s founding. 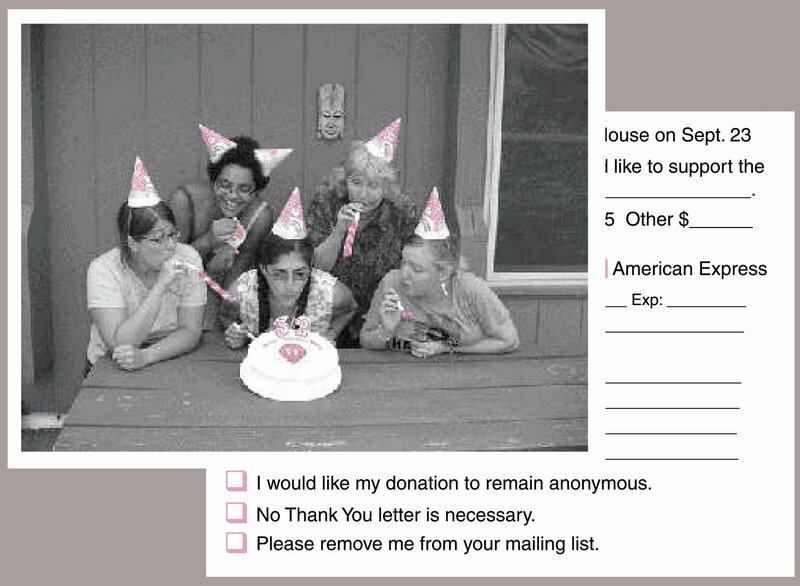 In 2005, we celebrated that fact with a birthday party theme. The Spring Benefit was a casual, silent auction held at a downtown art gallery.